This post is sponsored by Produce Made Simple. Passionfruit juice and passionfruit flavoured desserts are very common, but have you ever eaten a fresh raw passionfruit? I’ve always been a bit hesitant to work with them, because they look a bit scary on the inside, but they are actually quite delicious! Passionfruit (or passion fruit) is a tropical fruit that is native to Brazil (where it’s called granadilla), but is now also grown in other countries around the world. In Canada, the purple and yellow varieties are the most common. I used yellow passionfruit, also known as vanilla passion fruit, to create a simple but elegant dessert for the Produce Made Simple website. Yellow passionfruit has a floral, vanilla-like flavour that makes it perfectly suited to pudding. The seeds are also completely edible, so I used them to add crunch to this easy dessert. I layered the pudding with buttery shortbread cookie crumbs to add texture to this dish, and the result was so good. You don’t want to know how much pudding and cookie crumbs I ate while testing this recipe… I probably should share a salad recipe next! 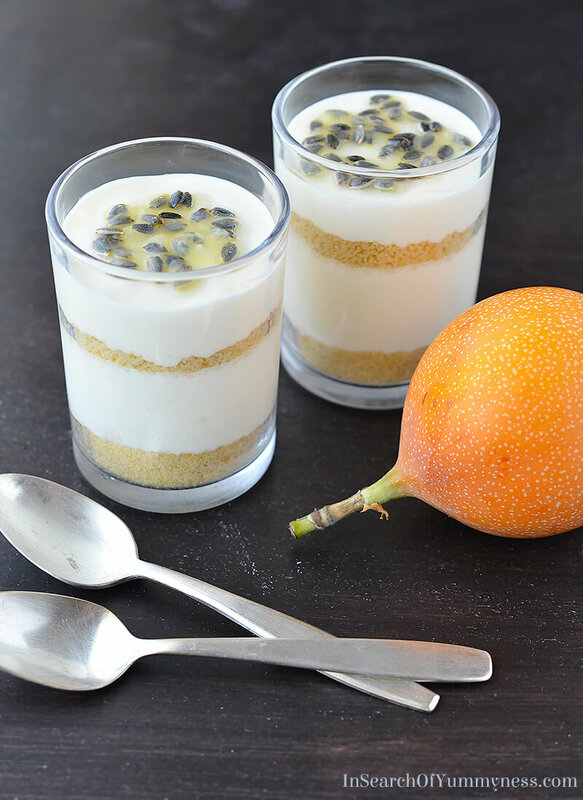 Visit the Produce Made Simple website to get the recipe for this layered passionfruit pudding. I have been paid to created a recipe for the Produce Made Simple website.